Anhui YALAN Seal Component Co., Ltd.
Carton, OEM packing is available. 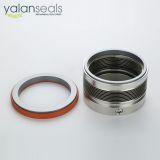 Structural Features: this seal component is a type of flat gasket mechanical seal, which is reliable and safe. The still structure removes the centrifugal action of the elastomers, which is very suitable for the high-speed operational conditions. Double direction installations. 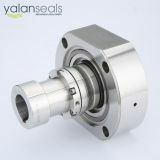 According to the different requirements of installing the seal can be installed as a rotary mechanical seal as well. This mechanical seal has cartridge version and component version, which both suit for high temperature, high speed, medium-and-high viscosity content and light vacuum conditions. Scopes of Application: widely used in petrochemical engineering, oil refining, chemical processing, food and beverage processing, pharmacy, water treatment and paper making. Mediums: oil, liquid hydrogen, acid, alkali, solvents, paper pulp and other medium-and-high-viscosity content under high or extremely low temperatures. 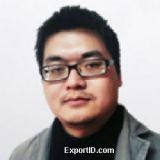 Customization: Changes of materials for getting other operating parameters are possible. Contact us with your requirements. 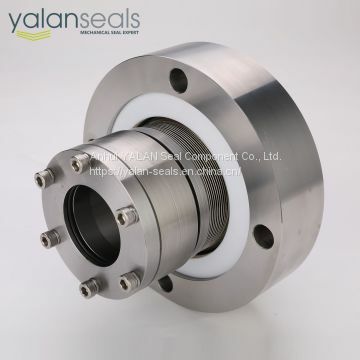 To Anhui YALAN Seal Component Co., Ltd.
INQUIRY ABOUT DBM High Temperature Performance Metal Bellow Mechanical Seals (Cartridge and Component Solutions) for Chemical Pumps, Sewage Pumps, Pulp Pumps and Vacuum PumpsAnhui YALAN Seal Component Co., Ltd.